Monaco Tours & Monte Carlo Tours Include: Private transportation and English speaking tour guide, taxes, tolls and parking. 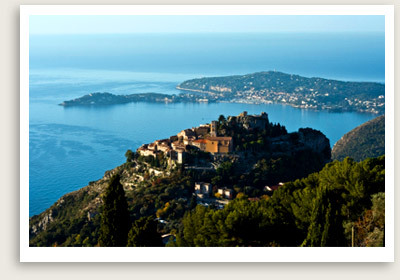 Departure points: Nice, Cannes, Antibes and surrounding area. Languages: Private tours of Monaco, Monte Carlo are available in English, Chinese – Mandarin, Russian, Portuguese, Dutch, Spanish. Please inquire. Note: This guided private tour of Monaco & Monte Carlo is also offered as land day tour or shore excursions from Villefranche – Nice, Cannes, Monaco, Antibes. This half-day tour will introduce you to the aristocratic gems of the French Riviera, Monaco and Monte Carlo. The private tour of Monaco, Monte Carlo begins with a drive featuring the panoramic view from Villefranche over Cap Ferrat, the Bay of Billionaires and its famous villas. You will then drive along the Lower Corniche to the Old Town of Monaco. Here you will have free time to visit the Prince’s Palace, the Cathedral, stunning gardens, and Cousteau’s Oceanographic Museum. From June to October you will also see the Changing of the Palace Guards, which occurs every day promptly at 11:55 am during these months. Next, the private tour continues to Monte Carlo, where you will drive along the exhilarating Formula One Grand Prix circuit. You will have some free time after the tour at Casino Square, where you can enjoy some luxurious shopping, and stroll amongst the stunning gardens, mega-yachts, and chic casinos… or simply watch the “rich and beautiful” enjoying the good life at their favourite haunts. ALL OUR SHORE EXCURSIONS, PRIVATE TOURS CAN BE CUSTOMIZED TO MEET YOUR UNIQUE GOALS. Perfect for families with kids, seniors and those with mobility issues.